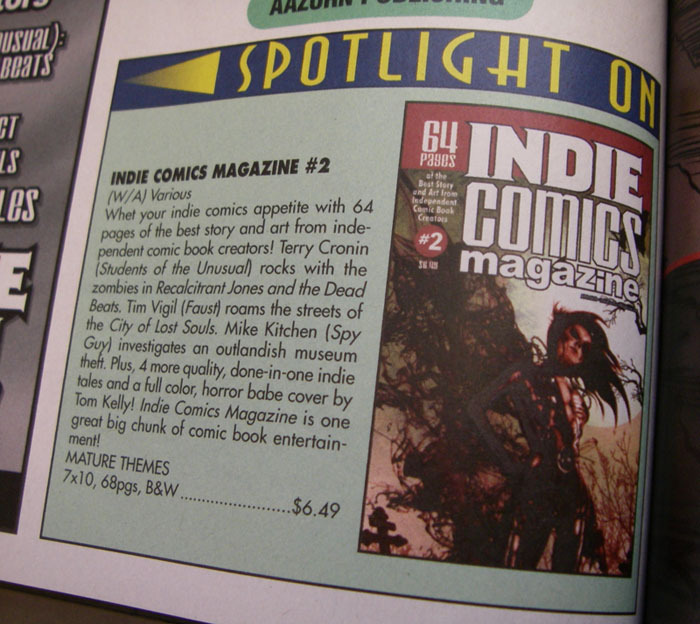 Would you like your local comic shop to order Indie Comic Magazine #2 containing the 8 Page exclusive story SPY GUY: The Case Of The Anunnaki Artifact? 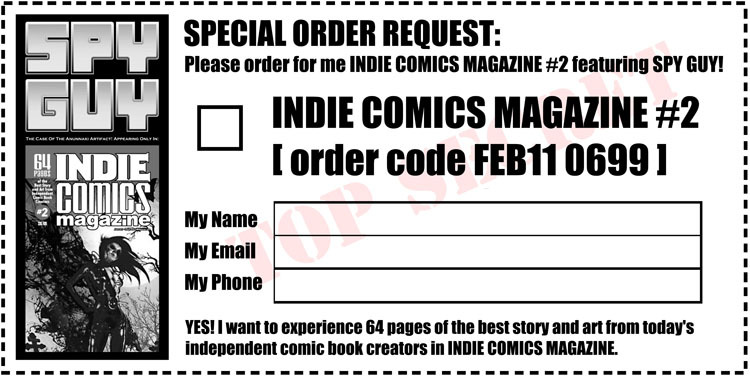 Just print out the below order form and bring it to your local comic book guy by February 18 2011. 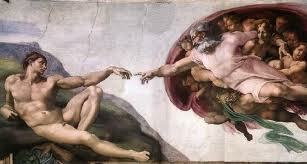 Couldn’t be easier! Click above for easy printing pdf version. The Ultraist Blog Journal has just received intelligence reports that after years of resistance, SPY GUY has managed to infiltrate Diamond Comics Distributors via Indie Comic Magazine #2.